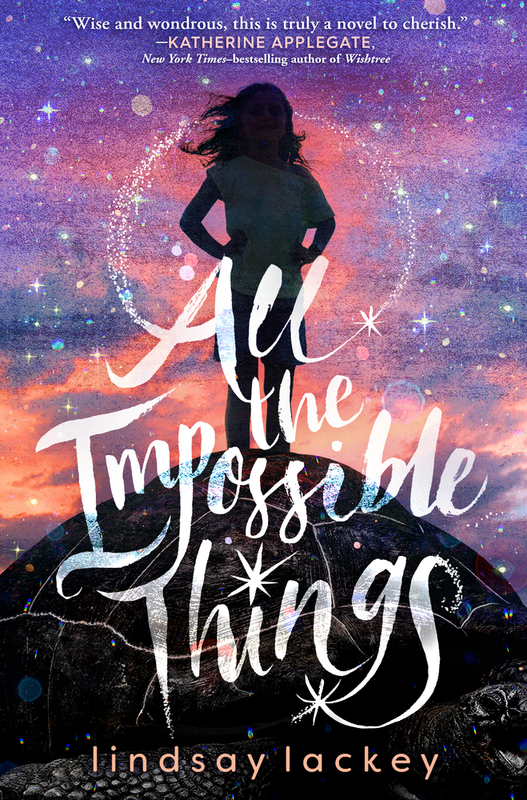 A bit of magic, a sprinkling of adventure, and a whole lot of heart collide in All the Impossible Things, Lindsay Lackey's extraordinary middle-grade novel about a young girl navigating the foster care system in search of where she belongs. Red’s inexplicable power over the wind comes from her mother. Whenever Ruby “Red” Byrd is scared or angry, the wind picks up. And being placed in foster care, moving from family to family, tends to keep her skies stormy. Red knows she has to learn to control it, but can’t figure out how. This time, the wind blows Red into the home of the Grooves, a quirky couple who run a petting zoo, complete with a dancing donkey and a giant tortoise. With their own curious gifts, Celine and Jackson Groove seem to fit like a puzzle piece into Red’s heart. But just when Red starts to settle into her new life, a fresh storm rolls in, one she knows all too well: her mother. For so long, Red has longed to have her mom back in her life, and she’s quickly swept up in the vortex of her mother’s chaos. Now Red must discover the possible in the impossible if she wants to overcome her own tornadoes and find the family she needs.